During a week long trip with my family to Quebec this past week, I was able to meet up with Shawn Young, CEO and Co-Founder of Classcraft Games in Sherbrooke, Canada. Shawn’s insight into gamification in education helps inform my classroom practices and use of games with my students. As I continue to plan for this upcoming school year, I share the the knowledge Shawn divulged about technology, building (life long) skills, and the future of gamification in education. Michele: What does gamification mean to you? Shawn: Gamification has become a bit of an umbrella term in the last few years – people apply the term to anything where you can gain points or badges. Not surprisingly, seeing gamification from this lens leads to experiences which can feel stale, boring or lack meaning. For me, gamification is much more than that. In fact, I prefer the term ludicization : “To create a situation from which play can emerge”. In this sense, gamification becomes the art of crafting experiences in which many of the components of games can be applied (autonomy, competency, social relationships, randomness, feedback, etc.) to create a state of playfulness. Using these components leads to genuine fun (with a purpose) from which intrinsic motivations can stem. Simply put, good gamification is applying extrinsic motivators that will be internalized to produce intrinsic motivation. Michele: As a former teacher, what do you see as the benefits of gamification for teachers and students? Shawn: This depends on the approach, really. 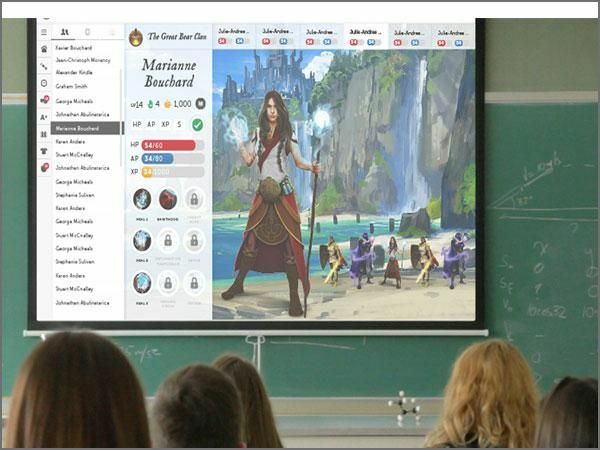 With Classcraft, we help teachers gamify the experience of coming to school, rather than gamifying content, like you would see with math or language games. From that perspective, the benefits on classroom culture are huge: students are taking ownership of the way the classroom is run and are significantly more engaged, even with the rote day-to-day tasks that occur naturally from class life. The game is very collaborative, so they gain a team that’s looking out for them and face challenges together. They also get much more positive reinforcement than they are used to, which has a big impact on their perception of self-worth. Obviously, this is great for teachers, who feel like they are working with students, not against them. Michele: How did you first get involved in gaming for education? When and how did Classcraft come to fruition? Shawn: Classcraft stemmed out of my own unique background as grade 11 physics teacher, web developer and gamer. I have been playing board games and video games since I was kid and that continued on into my adult life. As an educator, I was able to relate culturally with my students – indeed, we were playing the same games! I had a poor school experience growing up, often feeling like I was wasting my time, so my main focus as a teacher was making sure that coming to school was pertinent for students and that they felt that it was. It dawned on me that the experience of coming to school would be much more satisfying if it was like an RPG, so I made a quick prototype and started playing with my students. I fine-tuned the game over the course of 3 years before making a little website to share with other teachers what I was doing. Overnight, the website attracted 150 000 visits – seems like a lot of other people were interested in doing the same! I then teamed up with my brother, Devin, who is a designer, and our father Lauren, who has 35 years experience in business and accounting, and Classcraft was born. Since then, the platform has evolved tremendously! Michele: What are the elements from (classic) video games that can benefit teachers and students for gamification purposes? Shawn: When thinking of this question, people tend to look for tropes – ”Should I use XP + levels?” “Do students need an avatar?” or “Should I lay this out on a map?” are typical questions that come up from these types of questions. At Classcraft, our focus is more on the fundamental psychology of self -determination theory and how it applies to video games. There is a reason gamers are willing to spend hours repeating the same boring task to complete an objective, but aren’t willing to spend 5 minutes doing math homework: games fulfill 7 fundamental motivational needs (autonomy, competency, relationships, discovery, surprise, feedback, storytelling). These are the elements we lifted from games to design a playful experience and they are outlined on our blog. Michele: What life skills and Common Core Standards does Classcraft and gamification address? Shawn: Classcraft is very customizable: it can be used to develop any “soft”-skills by identifying behaviors that show mastery and giving points for that. For example, if you want to develop grit in your students, you’ll identify behaviors that are indicative of grit, like persevering in the face of adversity, and give students points for those behaviors, thus encouraging explicitly to internalize them. Because all of these behaviors are logged in the game, you’ll be able to assess development of these skills by looking at the per-student behavior analytics in the platform. That being said, Classcraft explicitly foster meaningful teamwork, ownership of learning, prosocial skills and perseverance. In terms of CCS, Classcraft doesn’t gamify curriculum, it gamifies the experience. Michele: You have said that “when playing video games, kids feel a sense of empowerment.” Can you talk more about this. What do you mean? Shawn: In a video game, the player inherently knows that they can succeed. Even in the face of the most difficult challenges, they can try as often as they like and develop their skill. Often times, they can tackle problems in several ways and make meaningful choices about their trajectory within the game. All of this leads to a sense that the player can shape their destiny and build mastery for success. Compare this to the school experience: kids often have only one set way to complete their journey through a course and only get one chance to demonstrate mastery of given piece of content. It doesn’t feel very empowering. Michele: As the Gamemaster for Classcraft, what are you dreaming up and working on now for teachers to benefit from you gaming platform? Shawn: We’ve got a lot of things coming 🙂 One thing we’re focused on is integrating with more platforms and partners. We’re already integrated with Google Classroom and Microsoft’s Office 365 and we want to create more opportunities for teachers to be able to gamify the entire student experience, no matter which platforms and tools they are using. We are also looking at building more game features, like self-correcting quizzes students can complete for XP and storylines they can play out throughout the year. Michele: What has the best thing about creating Classcraft and sharing it with teachers all around the world? Shawn: This may sound hokey, but it’s been really great for everyone on the team to see the profound positive impact we have had on teachers, students and parents. Every day, we receive videos, pictures and testimonials from people using Classcraft telling us how it has changed their lives for the better. From the shy fifth-grader who wrote us to tell she had finally been able to make friends because of Classcraft, to the burned out teacher who has found the love of teaching again, to the parent who is raving about how motivated their child is, all of these testimonials act as fuel to keep us imagining new ways to make the classroom a better place. Michele: Since gaming and gamification is continuously evolving, where do you see it going? What do you see as the future of gamification for educational purposes in the next year, 5 years, and even 10 years from now? Shawn: Who knows!? 🙂 It’s definitely an exciting time for the field. Tech is changing faster than we can anticipate and opportunities like VR and augmented reality will definitely have an impact on the field. I’m certain we’ll see it become much more prevalent than it is now, as educators see success stories and jump on board. In my classroom, my focus is on learning not grades. In my classroom I offer student choice. What my students put into the class is what they are going to get out of the class. I understand that many young people are motivated by grades, but grades are arbitrary. Many of my students master learning outcomes in different ways. I want my students to be lifelong readers and proficient writers. Some of my students are avid readers and are authors of their own blogs. At the same time, I have struggling students who have never read a book for school, rather comb through the internet for plot summaries to pass a test and copy quotes. With these diverse learners in mind, I have introduced Game based learning in my classroom to motivate the diverse learners in my classroom, teach content in creative ways that engage students, and allow them to work collaboratively. 1. Based on assessment methods (quizzes, tests, homework, projects, etc.). One grade/entry is given per assessment. 1. Based on learning goals and performance standards. One grade/entry is given per learning goal. 2. Assessments are based on a percentage system. Criteria for success may be unclear. 2. Standards are criterion or proficiency-based. Criteria and targets are made available to students ahead of time. 3. Use an uncertain mix of assessment, achievement, effort, and behavior to determine the final grade. May use late penalties and extra credit. 3. Measures achievement only OR separates achievement from effort/behavior. No penalties or extra credit given. 4. Everything goes in the grade book – regardless of purpose. 4. Selected assessments (tests, quizzes, projects, etc.) are used for grading purposes. 5. Include every score, regardless of when it was collected. Assessments record the average – not the best – work. 5. Emphasize the most recent evidence of learning when grading. Adapted from O’Connor K (2002). How to Grade for Learning: Linking grades to standards (2nd ed.). Thousand Oaks, CA: Corwin Press. Where does Gamification (ie Classcraft) fit into this grading dichotomy? So what is Graded in 8th Grade English? What are the rewards for Collecting Game Points (XP & GP)? *Negative behaviors can also lead to having one’s game points raided (taken away). The following post was written and published for ISTE Project ReimaginED. Gamification is about transforming the classroom environment and regular activities into a game. There are numerous ways to bring games and game playing into the content area classroom to promote learning and deepen student understanding. Whether teachers are looking to bring in some aspect of gaming into their class or utilize a game platform across the curriculum, they can bring in elements of gamification to enhance learning and student engagement, tap into Common Core State Standards (CCSS), and attain ISTE Standards. I first gamified my middle school English class last year and I have continued this quest for a second consecutive year. The response from my students has been positive and enthusiastic. Participation has increased among my students and students are inclined to do additional work for the game. Within my classroom I have eliminated homework grades in lieu of game points and on a weekly basis I have students battle each other for powers and privileges. Privileges include asking the Gamemaster (aka, the teacher) if her/his answer to a question is correct on a test and getting an extension on an assignment. Students earn points by being positive and hardworking in class, correctly answering a question in class, or helping another student. At the same time, students can also lose points by disrupting the class or coming to class unprepared. I am currently using Class Craft, an awesome gaming platform that has allowed me to turn my classroom into a role playing adventure. My students sign a “Hero Pact” which articulates the rules and goals of the game and they have Avatars. As the Gamemaster, I am able to customize the rules to fit my students needs. Good gamification promotes problem solving and collaboration and failure is an essential source of feedback and learning. Gamification is not worksheets for points; facts and information are used as tools for learning and assessment. Effective games are customized to different learners and students are encouraged to take risks and seek alternative solutions. In classrooms today, it’s not only about learning content material. Students must experience and build the necessary skills to be creators, innovators, and problem solvers in order to develop critical thinking and improve academic achievement. Here are some ideas to promote transformative learning experiences with gamification. The Beatles sang, “I get by with a little help from my friends,” and I transfer this principle to my classroom with gamification. Learning is not an isolated task. When students work collaboratively, there is more ownership of the material and more opportunities to contribute in class. In my classroom students are assigned a team. Each team comprises four or five students, depending on the class size. Students work both independently and cooperatively within our gaming structure to earn powers than unlock privileges. Because I teach English, the team names are based on genres, authors, and book titles from Young Adult Literature. For example, in one class, team names are based on current fantasy based young adult literature—Potter, Eregon, Everlost, and Land of Nod—and in another class team names are based on contemporary YA dystopian texts—5th Wave, Divergent, Legend, Matrix, and Rook. Teachers can have students pick their own team names for ownership in the game. Design a quest or challenge that sparks learning and engagement. While my students are reading Harper Lee’s To Kill a Mockingbird, I have them complete a “Mockingbird Amazing Race” QR Code Quest. Each team of students is given a map with QR codes that takes them around the school to complete text based activities. Students use their mobile devices to read the QR Codes at the different stations and complete the challenges. I designed the Mockingbird Amazing Race for students to “apply digital tools to gather, evaluate, and synthesize information” (ISTE Standards for Students #3, Research and Information Fluency) about the text and and standards. World History teacher Michael Matera uses simulations as a teaching tool with his sixth grade students. He designed a China Silk Road Simulation to bring to life entrepreneurship, supply and demand, the power of negotiation, and the costs and benefits of technology for society. He describes all the ingredients and directions for the simulation on his blog. The goal of the simulation is to have a rich product diversity without conflict. Throughout the simulation, Matera stops to ask questions to the groups about their choices and their connections to the learning objectives. Some students are motivated by badges or points. In my classroom, points unlock powers. Powers are important features that represent privileges players earn as they progress in the game. Some powers are cooperative where others only benefit the individual player. With Class Craft, players must level up to earn Power Points so that they can unlock new powers. Once a power has been learned, they can use it for the rest of the game. Some individual powers have nothing to do with English but they are still fun. When my first ten students earned over 1,000 points, I brought in doughnuts for them to eat during class. Many of my students are working towards the power that gives them access to their notes during a test. The key is that leveling up, badges, and points track mastery. Students can even contribute to how they earn the points and suggest powers or privileges. Gamification facilitates more responsibility on the part of the student to take charge of their learning. Want to inject a bit of a lottery system or the selection process from the reaping in The Hunger Games, but with less deadly consequences? Utilize a Wheel of Destiny or Random Name Generator to select students to complete a mission or answer a question. Students will be sitting on the edge of their chairs, but the spontaneous, random events/selection gets everyone involved. Good games are not predictable. And as with all games so too in your classroom: predictable can quickly become all too boring. Keep students on their toes and engaged in the game with random selection and events. Transform assessments with Boss Battles. A “boss” in gaming is a villain who the hero must face and defeat to save the day. Think of the monster at the end of each level in the original Super Marios Bros. who must be defeated before moving to the next level. The boss is the final challenge a player faces and utilizes his or her skills and abilities to defeat the boss. Boss Battles can be used as reviews or as a test. Check out how Mallory Kesson of Gamindex uses Boss Battles in her classroom by posting multiple choice questions on the SMARTBoard and giving students 30 seconds to select the correct answer. If the student answers incorrectly, the boss will attack. If a teammate has the correct answer, a student can dodge the attack, but if you miss, the entire team takes damage and loses points. When Boss Battles ask higher order thinking questions, students are “using critical thinking skills to plan and solve problems, and make informed decisions,”thus meeting ISTE Standard for Students #4, Critical Thinking, Problem Solving, and Decision Making. If you are considering implementing gamification into your classroom, check out Class Craft or read Michael Matera’s book, Explore Like a PIRATE: Gamification and Game-Inspired Course Design to Engage, Enrich and Elevate Your Learners. As the Gamemaster, you have the ability to transform your classroom with games, quests, and adventures that can inspire and empower student learners. I am by no means a gamer nerd but my evolution of the use of games in my classroom has gone from power point Jeopardy Games and Amazing Race QR Codes to a full on gaming platform, avatars, Boss Battles, and strategizing my lessons for student opportunities to level up. On December 2, 2015 7:00 PM EST I will be leading a webinar for ISTE’s Professional Learning Series addressing gamification as a tool for classroom learning. Gamification, the application of game playing, is all the rage in classrooms these days. There are numerous ways to bring games and game playing into your content area classroom that promote learning and deepen student understanding. Whether you are looking for engaging gaming tools like Kahoot! or are interested in introducing a game platform like Classcraft Games into your classroom, join this webinar to learn about what gamification looks and examples how teachers are using games in classrooms today, how you can implement a variety of games and game based learning into your classroom, and gain additional resources to level up your teaching. Gaming offers so many positive opportunities for students and teachers alike to increase engagement, content learning, and problem based learning. If you are using the Jeopardy templates to quiz your students knowledge of a subject matter and stir up some competition, try Kahoot! or Quizizz. These two simple learning games allow you to create a quiz or survey for your class, students use their mobile devices to answer the questions, and shake up the traditional quiz or question and answer classroom practice. Minecraft Your Book Assessments (and more). Last year I had a student who was a big gamer, coder, and into Minecraft. After he read the Maze Runner he created the entire setting and plot of the book into a Minecraft game for his fellow students to play. Andrew Miller has a great blog post on Edutopia about other ways to use Minecraft in your classroom. Digital Badges & Reward motivate some. The Smithsonian Quests and Khan Academy offer digital badges for students who explore and complete online learning tasks designed by these two companies. For some students, this individualized learning offers inspiration and motivation. So, you want full on gaming? Classcraft is one gaming platform that offers free online, educational role-playing game that teachers and students play together in the classroom. Students can level up, work in teams, and earn powers that have real-world consequences. With Classcraft, the game runs passively in the background, collecting points and managing powers. — And those of you attending my webinar, I will be giving away one FREE PREMIUM subscription to Classcraft!! I learned about Classcraft less than a year ago after attending an EdCamp in Connecticut. An English teacher took his rote vocabulary lessons from a Wordly Wise workbook and gamified his class with Classcraft to entice students to enrich their everyday vocabulary. By introducing Classcraft Game into his middle school ELA class and having students write weekly journal entries for their game avatars using the Wordly Wise vocabulary he was able to incorporate creative writing, vocabulary building, and gamification into his class. I was hooked and immediately set out to gamify my own 8th grade ELA class. Gaming, a huge trend in education today, I have to admit, was not my expertise. But to use Classcraft in your classroom you do not have to be a big time gamer. And this is where your students who are obsessive gamers can step forth and help out. I knew that I was going to need some additional help in addition to the online tutorials and blog posts in setting up my class craft teams and quests. I turned to my students for help. Luke (I have changed his name to protect his identity), was one of my students last year that just was going through the motions of school. You know, the one who is too angry with his parents, his weight, his social status in middle school to even pick up a pencil in class and take notes or complete his homework. But, he listens to all his teachers lecture in class and will still ace the tests and quizzes barely passing each quarter. The only time I saw Luke happy and smiling was at lunch time when he was sitting with his friends talking about gaming and the newest, best, greatest game being released or his recent score. I knew he was the one I could tap and help me set up Classcraft and also help teach the ins and outs to his classmates. So, during class one day I told Luke I needed his help with a game I found online and asked if he could help me set it up. That afternoon he returned to my classroom and I showed him the website. He went home created his own class and learned the elements of the game to help me the following day. The next morning told me he thought the whole concept was cool and described how to organize the teams in each class: two Mages, two Warriors, and one Healer. I set up teams in all my classes and asked Luke to help me show the class about the game. All of a sudden, Luke was on top of the middle school social ladder. He knew everything and the competition was erupting the minute he showed the website on the SMARTBoard. I had instant buy in from all. One of the things I love the most about Classcraft is the fact that teachers can personalize it to their content area and class needs. My students earn Experience Points (XP) by completing homework (it’s not graded only given points for Classcraft) or participating in our Twitter Book Club outside of the classroom. Students also earn points by answering questions in class, working well with others, and for the Fastest Foldable when putting together Interactive Notebooks. Our students are our best resources. Use the expert gamers in your class to help establish teams, add additional powers, and share opportunities to earn XP. Gaming is all about collaboration and you want your students on your team. After attending EdCampSWCT this past March I was enamored by a session led by Matthew Dandola (@BeGeeky) sharing how he turned a tedious Wordly Wise vocabulary practice workbook into an intriguing story driven, role playing game that seems more Game of Thrones meets Dungeons & Dragons for his middle school students English Language Arts. After extensive research, Dandola chose Classcraft as a platform to create a world outside of his classroom where students craft the stories of their characters through weekly journaling and for bonus points adding Worldly Wise vocabulary for robust narratives about how characters are working together, and sometimes against each other, to earn powers win the game — or face consequences. As described on Classcraft’s website, to play, each student must choose a character from three different character classes: the Healer, the Mage, or the Warrior. Each has unique properties and powers and is designed for different types of students. These are customizable as the game progresses and can be accompanied by pets. 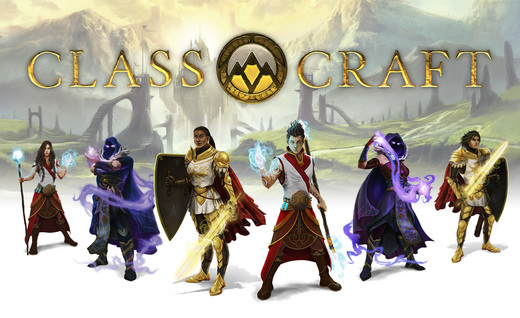 Classcraft is played in teams of five or six students for the duration of the year. This encourages students who might not normally socialize to work together to win the game. All team members benefit from cooperative efforts and learn to consider the needs of others before they take actions in the game. Powers and consequences are customized by the teacher. Participation in class activities is a must to survive. Whether you are big into gamification or not, you need to join the next #ISTELitChat where we will talk all things #gamification. Learn more from Matthew Dandola’s and other #gamification tools for your classroom. Q1: Introduce yourself, where you are from, and your role in education. Q2: What does #gamification mean to you? Q3: What does #gamification look like in your classroom? Q4: What #gamification applications or tools are you utilizing now to support learning in your content area and students interests in gaming? Q5: What does one have to keep in mind when designing a game for content area learning? Q6: How do you get all students to buy into the #gamification aspect of classroom learning? Q7: What are ways that you envision using #gamification with your students? Q8: What advice do you have for someone just starting out and interested in bringing #gamification into their class and content area?